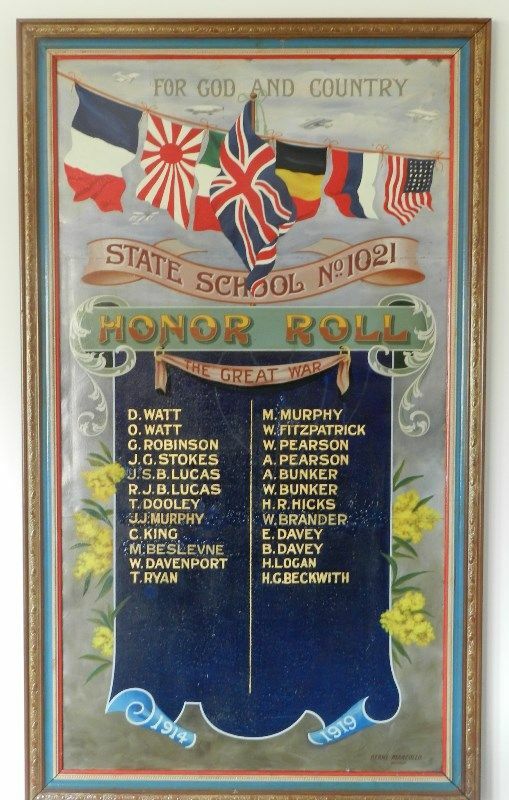 A painted honour roll commemorates those from the Corop State School who served in World War One. The honor roll of the Corop State School was unveiled on Wednesday last week by Mrs. Robinson, who has lost a son at the front. There was a good attendance of parents and friends, despite the bad weather. About 24 old scholars have responded to the Empire's call, some of whom have paid the supreme sacrifice. Bendigonian (Bendigo, Vic), 27 June 1918, Bendigo Advertiser, 21 June 1918.